Happy Friday everyone! Boi do I have a treat for you today! Expectations can be a dangerous and disappointing thing, but not this time! I’m over the moon about this book, and I literally ate it up over the past weekend. I wish it had lasted longer! Thank you so much Aschehoug Forlag for sending it to me! It all started with a Stumble Stone with your name on it outside where you used to live. My son asked questions, questions I wasn’t sure how to reply to in full length. He asked about you and your life the way only a child can ask, and why you were killed. Why were you killed? Because you were different. Because they needed someone to blame for all the things that went wrong during the history of Europe. You lost many people, but your family is still here today compared to others. You lost many friends because of a fellow native. A man who switched side. A man who needed to prove his worth, and did it in the worst possible way by becoming one of the most vicious men in Norway during the war. His name was Henry Oliver Rinnan. Out of his own family history, Simon Stranger discovers some dark secrets about a man who turned sides, a house full of horror, and how his family came to be the way it is at present day. This is a story based on true events. I loved Keep Saying Their Names! I had heard so much about it and when I got the chance to get it from the publisher, Aschehoug, I couldn’t resist! My worst fear was that I wouldn’t like it even though what seems like all of Norway is praising it sky high. No worries there, I was hooked from the first page! 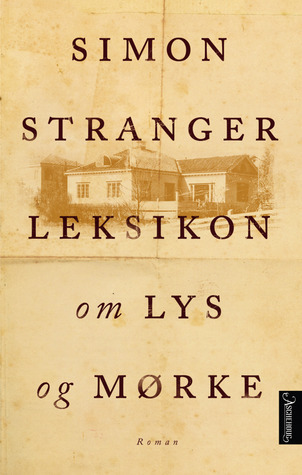 This book takes place in Trondheim where I’m currently studying at university. Through Stranger’s descriptions, I was able to recognize the streets and locations. I had to Google a couple of them and it made me really engage with the book, which I always appreciate. It is always more fun to read a book when you know the place where the story is set. Several names and places I had heard of before I picked up the book. Names like Faldstad Prisoner Camp, Henry Oliver Rinnan, The Mission Hotel, and more are familiar to people who are interested in the occupation of Norway between 1940 and 1945, and I really enjoyed learning more about them all and their place in history. I especially enjoyed learning more about Rinnan as a person. I know his reputation from history class, but we never looked into him. There should be a few books in my bookshelf about him too, but a day only has 24 hours, right? Through Stranger’s description, I got the impression that Rinnan seemed to have an extreme need for confirmation from other people. I felt the psychology student in me poking its head out to look closer at the personality traits described in the book. This need for confirmation seemed to come from shame along with several other underlying factors. Rinnan was never with the in-crowd in school. He was short, his family were poor, and he was a loner most of his life. I believe Gestapo gave him the perfect opportunity to prove his worth and through this opportunity, he became one of the most known and notorious Nazi agents during the occupation. Sorry about the little psychological digression there, but this is why I’m truly fascinated by the war; how people were able to do what they did during this time of crisis. It doesn’t matter if they were soldiers, agents, civilians or victims, I’m just genuinely fascinated. Ok, back to the book! All in all, Keep Saying Their Names give a very full and very well documented impression. The language is very good (I’m sorry my English friends since you won’t be able to read it yet) which is one of the many reasons for why you get glued to the pages. The theme is well known to us by now, the war we can’t seem to stop talking about even though it been a long time, but that doesn’t matter when you read a story as marvellous as this. Stranger has done an incredible job with the whole book. There are scenes in the book you wouldn’t believe if you didn’t know the story was based on real documents, but they are a part of making the story so well composed. I think it is important to not polish the bad scenes to make them sounds less horrible. That would give us as readers the wrong impression about the whole situation the world was in between 1940 and 1945. In my opinion, the truth is best when you are telling stories like Stranger is doing here. If you haven’t read this book yet, pick it up from your nearest bookstore, you won’t regret it! My English friends I can tell you that this book is sold to Knopf Publishing House and will be translated soon! It will also be translated into Czech, Dutch and German according to Oslo Literary Agency!